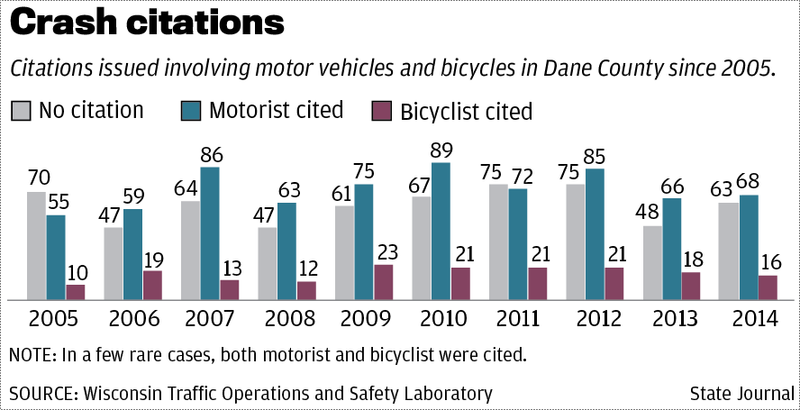 A recent Madison.com article broke down the number of motor vehicle vs. bicycle crash in Dane County in the past 10 years and categorized by citation for driver, bicyclist or niether. See below. While a police officer's opinion of fault and citation or lack of citation are generally not admissible in a civil trial, the graphic does show that police find drivers at fault at a rate of about 4 to 1 compared to bicyclists. This make sense considering it is harder to see and hear inside of a motor vehicle, the motor vehicle takes up more space, and motor vehicles have more available distractions including heat, air conditioning, radio, phone, gps, other babies in the back seat..........Further, most people riding bicycles are keenly aware that if they make a poor choice and turn in front of motor vehicle traffic the consequences are extreme. 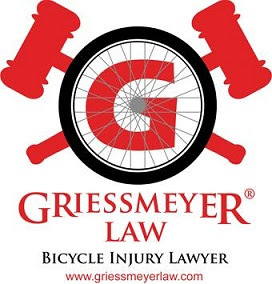 Thus, bicyclists are generally more cautions and have a better situational awareness.